Athletes and support staff from the North Island Cougars team accept the Most Sportsmanlike Team trophy during the recent 2013 Operation Trackshoes competition at the University of Victoria. The North Island Cougars were awarded the 2013 Sportsmanship Award in the annual Operation Trackshoes competition. The North Island Cougars were awarded the 2013 Sportsmanship Award in the adult division following their appearance in the annual Operation Trackshoes competition, held this month at the University of Victoria. Operation Trackshoes is a provincial track & field meet for individuals with developmental disabilities. More than 500 competitors and 600 volunteers were involved in this year’s 43rd annual event held at university campus, which spanned two days of competition. 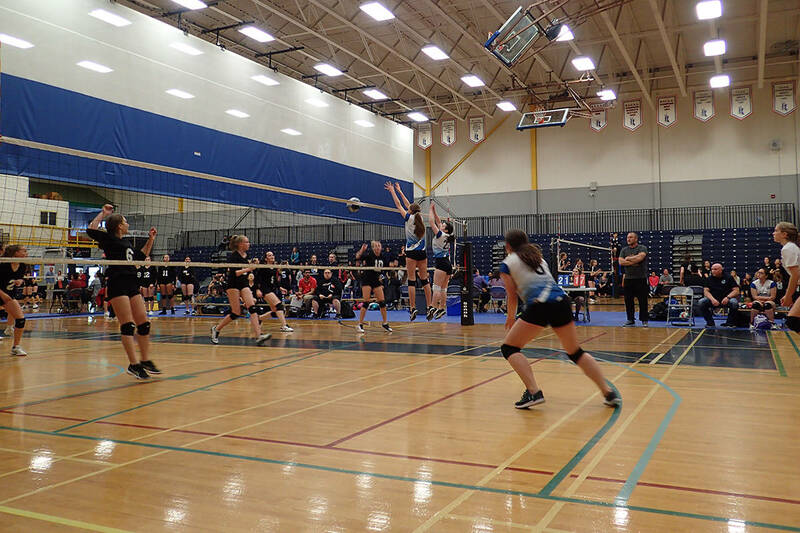 The North Island Cougars were represented by 11 competitors and five coaches from Port Hardy and Port McNeill.